Late in 2017, the Cambridge Analytica–Facebook scandal finally woke people up and raised serious privacy concerns. More and more social media users found out exactly what and how their information was used for. The result was not pretty. Millions of people had their data harvested, analyzed and turned into a tool powerful enough to elect President Trump and push Brexit into reality. If you want to take control of your data, in this article we outline the risks of data sharing, the current landscape, and we list the best, easiest to use tools for your privacy. Just 270,000 users took a personality quiz app on Facebook called “Your Digital Life”. By responding to that quiz, those people gave Cambridge Analytica access to 87 million users’ data to be compromised and used in horrifying ways. Behind the scenes, the app in question pulled information from responders’ profiles and their entire friends list. And Facebook couldn’t protect you from the ads, misinformation or straight up manipulation. Perhaps they didn’t know how. Perhaps they were too afraid to admit that their system, comprised of people sharing too much and advertisers chasing them, could actually destabilize a country and have terrible consequences on multiple levels. If you need to catch up on the Cambridge Analytica-Facebook scandal, watch the insightful video below. Then use the steps in this article to take care of your information, so the next incident doesn’t affect you or your loved ones. Before you try to “sneak” from Facebook, Google’s or other social media platforms’ surveillance, first you must protect yourself from actual nefarious individuals. Yes, we’re talking virus creators, ransomware spreaders and malicious hackers. Step 1: Get a proactive solution like Heimdal PRO, which checks your traffic and, when you connect to a malicious domain, stops the infection at its source. We do not see what sites you visit or what habits you have, we only keep logs with the malware and ransomware we stopped from reaching you, so that the software can adapt to any future threat. Step 2: For other ways of infection, like a particularly serious virus or a compromised USB, use a good antivirus. While antivirus can’t really keep up with modern malware and will not stop ransomware from locking up your data, it’s still an essential tool for other threats. Then, with the basic measures in place, you can look towards the legitimate organizations and stop them from knowing too much about you as well. The modern online advertising ecosystem is also known as the attention economy. 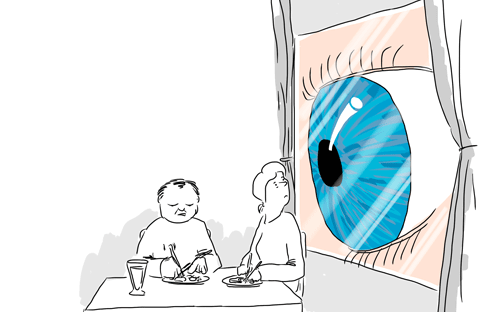 Advertisers, politicians, influencers, everyone wants eyeballs. Look at their product, remember it, buy it. “If a product is free, then you’re the product” is something you’ve heard over and over again, but did you ever stop to think how valuable your “random” info actually is? Beyond your attention, the details you provide on free apps and platforms can be used to build a lot of things. It’s true, when considering privacy matters, that no one at Google or Facebook will ever have the time or incentive to snoop through your private messages. However, as the Cambridge Analytica incident revealed, the small bits you do share can and will build a comprehensive profile on you. Worst of all, they can also build a profile of your friends, even though they do not want to be tracked. Recently, more and more people found out that Facebook has profiles on them, even if they never used the platform! Yes. Through cookies, location tracking and what your friends share on their profile, Facebook can build a shadow profile of you. That’s how, once you sign up for the service, all your friends are there in the “Suggestions” list and a lot of your music or hobbies appear recommended too. This all happens because Facebook and other social media giants are “free”. They don’t ask anything of you, as an user, other than everything you think, experience or do. You share that info voluntarily with friends and family. You probably thought there’s no harm in the platform itself knowing what you’re up to. It’s great as a user to find a website that seems specifically tailored to you, but what if you never wanted to share that information? 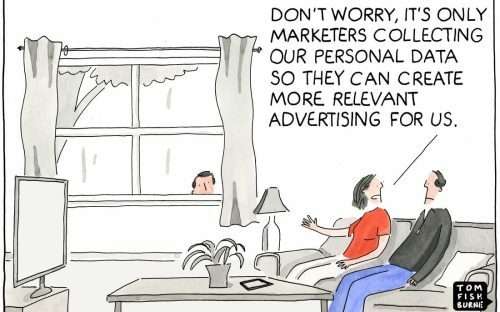 Current personalization tools and algorithms are essentially stalking you, and that’s never a romantic proposition. Right now, they’re stalking you to show you the perfect products for you, in a bid to make you buy, react or engage. Here’s a direct quote from Facebook on how widespread the practice is. We know you’re uncomfortable with this, so we have a guide so you can opt out of this practice. If ads for the perfect shoes were the only thing showing up on your feed, that would be great, right? Unfortunately, the same tool can be used to also spread propaganda, influence moods, divert a conversation, and so on, just as recent events have shown. Ok. How do I stop Facebook and others from tracking me? Here is the best combo we found so far, but drop us a line if you know of other great tools. All of them work for both those of us with Facebook profiles and those without. Setting up these measures should only take 30 minutes tops, so it doesn’t have to be complicated! But first, do check and see what information social media platforms have on you. On Facebook, see the ads you interacted by using this link. Download the info you provided to Facebook by going to Settings and click the “Download a copy of your Facebook data”, then click “Start My Archive”. Download your Google data here. You can access or download your Linkedin data here. Download your Twitter data by visiting your account page in a browser on desktop, not on mobile, and follow these instructions. There is no tool to download your Snapchat data, but you can submit a request to obtain your data from the company by following these steps. Unfortunately, Pinterest also doesn’t allow you to download your Pinterest profile or other data, but you have some privacy options. To stop Pinterest from tracking you across the web, go to your account settings and turn off Personalization. There is no tool to download your Instagram photos and data yet, but the company promised to release one as soon as possible. If you want to download your #data from Facebook, Twitter or Pinterest, here’s how to do it. If you still want to use Facebook and not have them tracking you all over the web, you can use Firefox and run Facebook in an isolated container. You can do this by installing this Facebook Container extension/ It will run Facebook normally, ads included, but will prevent it from using your activity collected outside Facebook. Step 1: On any browser, use the privacy tools embedded in it and stop websites from tracking you. More on this in our dedicated browser security guide. Step 2: Use an ad-blocking extension like uBlock Origin and combine it with uMatrix, an extension that stops any type of requests made by your browser. You can kill a lot of trackers this way, delete unwanted cookies and so on. Step 3: Add the “Cookie AutoDelete” extension, which allows you great control over the cookies in your PC. You can even create a Whitelist for those you want to keep. Step 4: Use Decentraleyes (on Firefox, Chrome or Opera), which protects you against the tracking done through “free” content delivery networks. Step 5: Try Privacy Badger (on Firefox, Chrome or Opera) too. This awesome tool was developed by the Electronic Frontier Foundation and is perfect for non-technical users. It won’t stop the tracking from the websites you do visit, but it will block any third-party sites from obtaining your info or browsing habits. 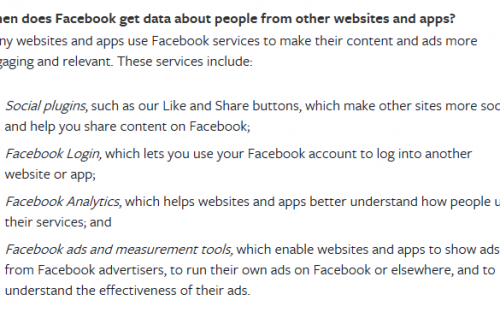 Using these tools, Facebook and others will not be able to track your every movement online. Consider using the HTTPS Everywhere extension too, because you give up a lot of privacy and security when visiting unencrypted domains. With these tools, you can protect yourself not just from ransomware or malware, but also from privacy infringement. But a man is not an island unto himself, so you need to do more. 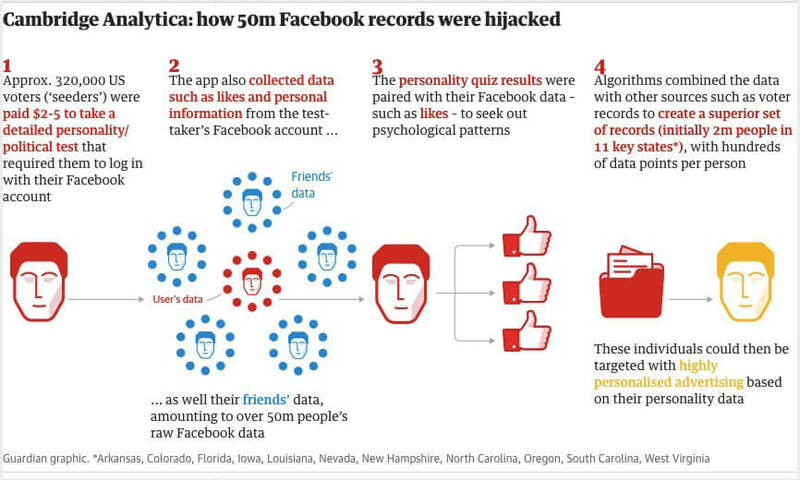 Just as people’s information was sold and interpreted by Cambridge Analytica because their friends were tricked, so could you become a victim through your social circle. And there’s online one way to prevent it. If someone asks you what the fuss is with Cambridge Analytica, send them this article. Or at least explain them why their data matters. “But I don’t have anything to hide” is an argument that will pop up time and time again. Well, if someone says that, ask to see their phone and go through their gallery, Google account or Facebook messages. They’ll probably think twice about saying that they don’t value their privacy. “It’s just ads, what could they possibly do?” is another frequent reply. Show them what happened with Cambridge Analytica. It’s been on the front page of a lot of newspapers for the past few months. Cyber security goes hand in hand with privacy tools, and you should always combine them to make sure your valuable information stays safe. We hope you found the best tools to start your journey here, but let us know if we missed anything! For more ways to protect your privacy, check out this Online Privacy In Under 1 Hour guide. The post How To Start Taking Control Of Your Data – Essential Privacy Tools appeared first on Heimdal Security Blog.